In a few years, high school kids may not even know what a filing cabinet is. Documents and data exist electronically, and more businesses are using the cloud to store and access information. The web and the cloud have given way to a wide range of productivity and automation advancements. 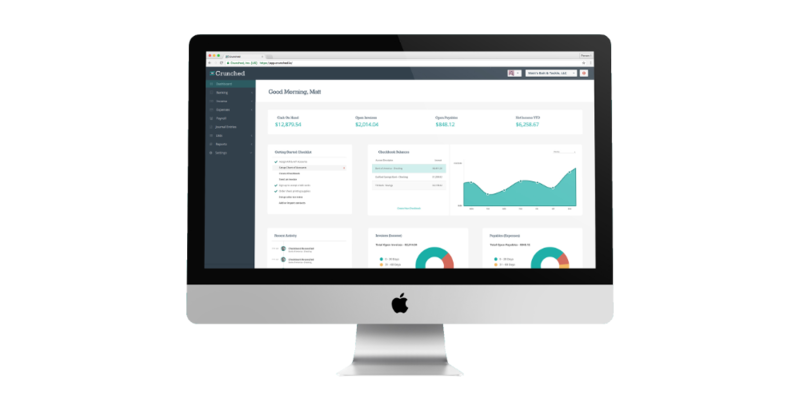 When it comes to small business accounting and bookkeeping, the most significant technology affecting automation is cloud accounting software. PwC predicts that there is a 97.5 percent chance that general business accounting will be replaced by automation over the next 20 years. Cloud accounting software has helped automate a wide range of small business accounting and bookkeeping tasks. This trend is set to proliferate at a rapid pace. Two of the most useful bookkeeping automation tools are electronic invoicing and payment processing. Not only can invoices be generated through your accounting software, but also they can be sent and paid directly through the platform. This helps small business owners save time by eliminating steps that were necessary just a few years ago. Other key automation features made possible with cloud accounting software include electronic transactions, reconciliation, deposits, and processing of check payments, among others. All of these tools are making it much more palatable for small business owners to manage their finances. The role of the accountant has always been evolving; however, the introduction of cloud accounting software has accelerated this evolution. Automation has made it easier for small business owners to manage their own finances and prepare taxes. As a result, CPAs are now taking on a larger-picture role as advisors. Services are becoming more focused on monitoring overall business financial performance, advising during audits, and overseeing corporate governance, among other responsibilities. CPAs are well suited to spot financial issues with businesses, and so these services are a natural fit. Small businesses are gathering and analyzing data more frequently to identify trends, opportunities, and performance indicators. Once data is collected, adjustments are made based on what they’ve learned. So why not use data to improve a company’s financial position? After all, business finances revolve around numbers, and closely tracking and analyzing numbers beyond just income statements and balance sheets can help paint some fairly compelling pictures. This is exactly what’s happening. As more small business accounting departments take a shine to data, they’re looking more closely at the numbers to see where improvements can be made. As indicated above, accountants will play a larger role in this process as well. It will become less expensive to operate a small business as automation continues to become the norm. One of the more significant expense reductions that we’re already seeing is payroll. Automation has helped reduce payroll expenses by eliminating the need for certain full-time staff. For example, many small businesses budget for a bookkeeper. This position is increasingly shifting to part time. The job simply does not require as much time when bookkeepers have access to cloud accounting software. Reduced business expenses associated with automation are being compounded when you consider other ways businesses are reducing expenses. Digital marketing is significantly cheaper than traditional radio, TV, and print advertising. And the ability to work remotely has made it possible for small business employees to work from home. This means smaller, less expensive office space. It all leads to a lower cost of entry for small businesses looking to get started. As a result, we can expect to see more businesses starting up. The future of small business accounting is looking pretty bright for business owners. Lower operating costs, easier-to-manage finances, and access to data is making it easier to run a business and be profitable. It’s not often that we see a single technology responsible for transforming an industry. Cloud accounting software is certainly one of those.